My family recently started spending more time in our family room instead of our livingroom where we had been watching television for the past two years. After using the area as storage for a long time we finally decided to make it family friendly and redecorated the area. When we got ready to watch our first movie in our newly decorated space, our plans were interrupted by a remote that stopped working due to battery corrosion. The remote had been in storage for years and we never expected it to be sitting so long so we didn’t remove the batteries before storing it. Instead of wasting money by ordering a new one and waiting a few days to get it in the mail, I decided to try to clean the battery corrosion myself. 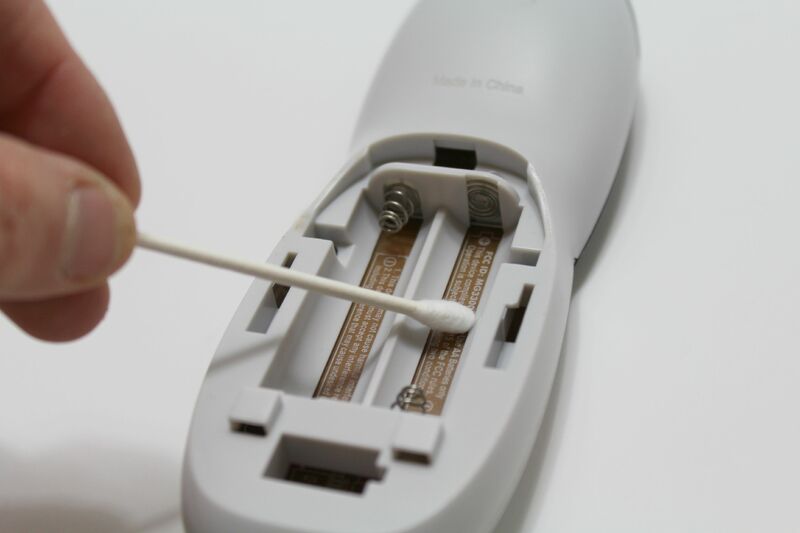 Dip your cotton swab into the vinegar and lightly scrape against the corrosion build up inside the battery compartment. Try not to the saturate the area with excess liquid and use a little bit at a time to prevent getting liquid into the wiring inside. If your battery corrosion is not being phased by the vinegar try adding a little baking soda to the vinegar for a tougher clean. 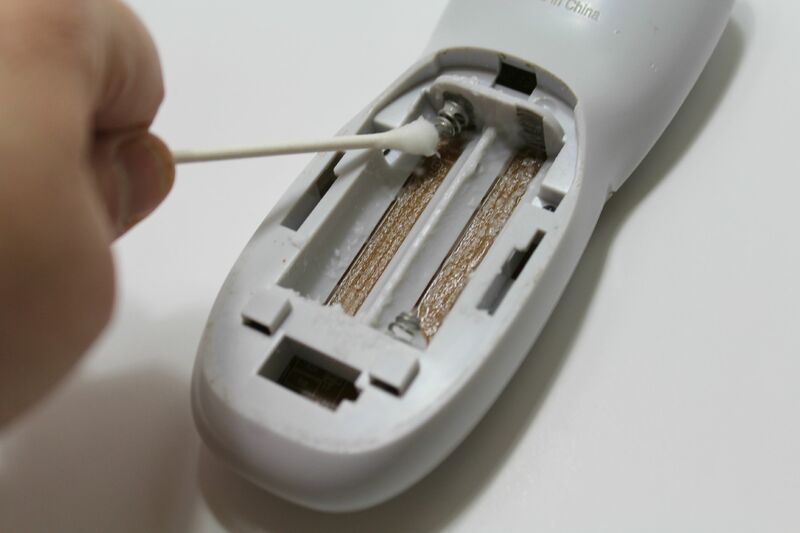 Use another cotton swab to dry out the left over vinegar and battery corrosion before replacing batteries. 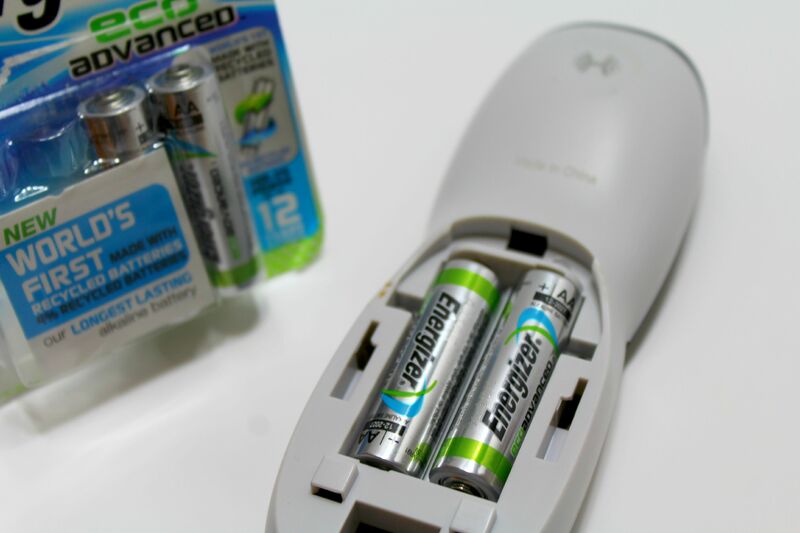 I chose Energizer® EcoAdvanced™because it is the world’s first AA battery made with 4% recycled batteries and is Energizer’s longest-lasting battery. Try it! Power your most critical devices AND have less impact on the planet! 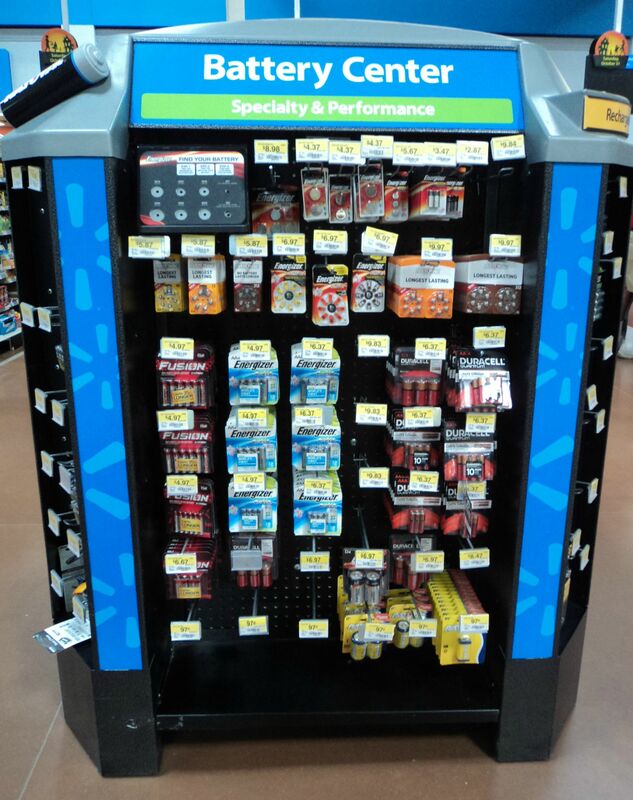 They are easy to find in the battery center at Walmart and you will be doing yorself and the enviroment a favor by picking these up the next time you need batteries. 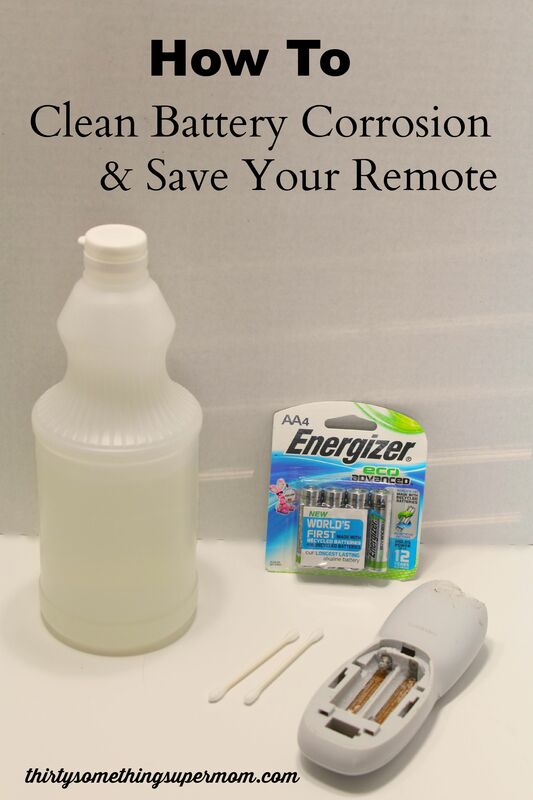 I hope I was able to help you learn How to Clean Battery Corrosion & Save Your Remote. Have you tried this method before, how did it work for you? Oh man, I never even thought about battery corrosion before, especially in the remote control (or even stuff I obviously haven't used in ages.... a good reminder to check today). Makes total sense, and I probably would've chucked it out and went out to buy a new one for my TV. Man, vinegar sure can clean anything it seems, can't it? Of course, vinegar to the rescue again. I never would have thought to try that. I use to have a bad habit of forgetting to remove my batteries from devices, and corrosion definitely ended up happening. But my now husband always thinks to remove batteries, even if it is just for a short time. Wow, what a great tip! I am fortunate to have not had any issues with corrosive batteries up to this point in my life (knock on wood!) but now I know what to do if it ever does. Thanks for sharing, I'm sure one day this will definitely come in handy. I've always wondered how to take care of this problem. I hate having to deal with an "exploded" battery when I leave it in there for way too long... Thanks so much for the vinegar tip! I'll try to prevent this from happening again in my remotes. This is really good information and a frugal tip for sure! How many gadgets have I thrown out because of battery corrosion. Never again! Vinegar is certainly a miracle cleaner! This is seriously BRILLIANT! My husband is Mr. McGyver himself and I wonder if he knows about this. We are totally trying this! I honestly didn't think this was repairable. I have an old tv remote that has a corroded battery in it. I actually bought a new remote several months back. I think I threw the old one out. How aggravating! I sure wish I had learned this years ago. Thanks for the tip!!! You're welcome, it is very helpful! This worked really well. I got my TV remote working again in under 5 minutes. Thanks a mil! So glad it worked for you, thanks for stopping by and letting me know! This is a great post and I'm glad you posted it as my remote had corrosion on and I forking out $60 for a new remotes felt wrong. Thanks to your idea of using vinegar, it worked! I feel accomplished and pleased I saved $60 for something else better, thank you! Wow that is awesome! I am so happy to hear that! It always amazes me how much they charge for a replacement remote, glad you could save! This really does work! Hubby always tries this befre going out and buying anything wih batteries. Nine times out of ten it is simple corrosion! Excellent! You just saved me two remotes for my receiver and DVD player - both which stopped working on the same day due to corroded batteries. Five minutes later they’re both fixed! Thanks for the tip. That is so awesome! I am glad I can help! I was floored to see how well this worked, despite multiple times failing when using alcohol or water. I am so happy to hear that it worked for you! Thank you for stopping by and commenting! OMG I tried this one and IT WORKED OUT PERFECTLY !! THANK YOU SOO VERY MUCH FOR POSTING THIS !! Thanks for stopping by and letting me know it worked for you. That is awesome! I didn’t have white vinegar so I tried apple cider vinegar, and it worked also! That is good to know, thank you so much for stopping by!